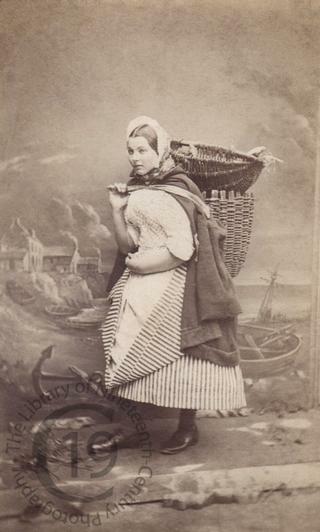 A carte-de-visite portrait of a fishwife from the coastal village of Newhaven near Edinburgh. A printed caption recto in the lower margin gives the title. The street cry 'Caller Haddies' was Scots dialect for 'Fresh haddock'. Photographed by Ross and Pringle of Edinburgh.